It's an incredibly exciting day here at SFG HQ as we have a few big announcements to make! 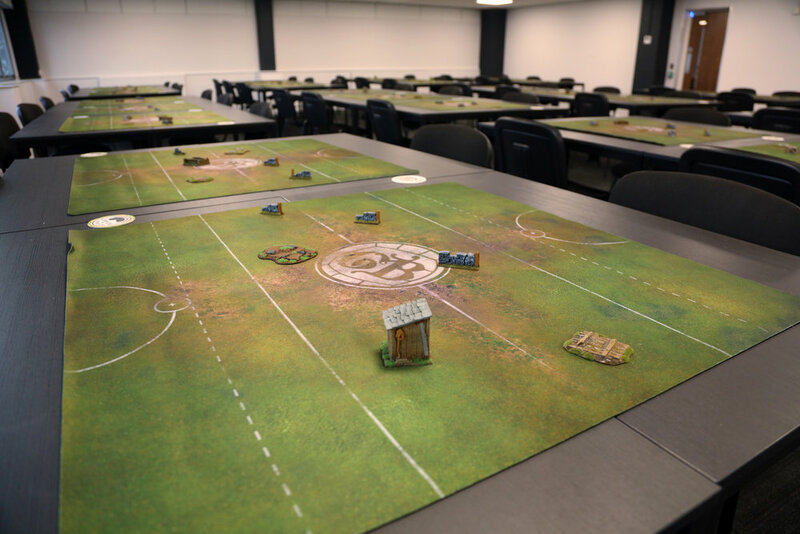 A few weekends ago we ran our first ever Guild Ball Playtest event at Steamforged Games HQ. From what we’ve heard, everyone that came along had an awesome time, and our main takeaway from the day was that you all want to see more events like this. So today we’re here to talk to you about another brand-new event, as well as some of the conventions we’ll be attending throughout the year! Let’s talk about Godtear Early Access events! What is a Godtear Early Access Event? An Early Access event is a couple of things all rolled into one. Firstly, it’s a learning experience. Whether you bought into the Early Access of Godtear or not, this is your first chance to come and play the game surrounded by other fans of the project. 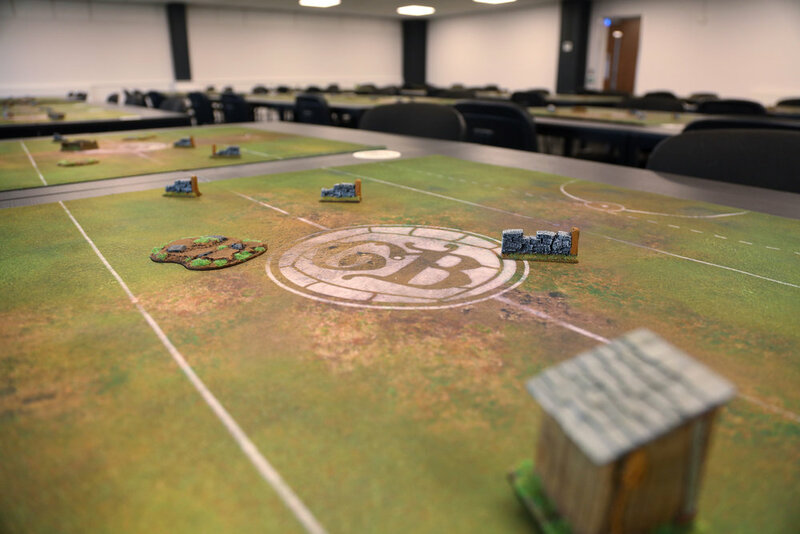 In addition, you’ll get to play with and discuss the game with members of the Steamforged Games development team that actually work on Godtear every day. Didn’t buy an Early Access Pack? No problem, just borrow some models from us for the day! Secondly, Early Access events are the very first form of Godtear organised play. That doesn’t mean that this is a tournament, since the term ‘organised play’ can mean anything from a weekly gaming night, to a story driven campaign weekend, as well as tournament play. Early Access events will be your first chance to meet other fans of the game, see what it’s like to see Godtear being played by a room full of people at once, and of course have fun! Thirdly, Early Access events are an opportunity to playtest Godtear itself. Godtear is a game that is still under development and this is your opportunity to help us make the game that you want to play. As well as helping you to learn how to play, our development team will also be talking to you to find out what elements of Godtear you like, the elements you’re less fond of, which ones we can make more fun, and which ones we could make easier to use. Okay, This Sounds Great, Tell Me More! Well, the first Godtear Early Access event will be happening really soon! Our first one will run on Saturday the 3rd of March 2018. There will only be 32 tickets available so make sure to buy your ticket as soon as possible to avoid disappointment. Tickets will go on sale at 16:00GMT Wednesday 14th February and will be available to purchase via the SFG Webstore. Godtear Early Access events at Steamforged Games HQ will start around 9am and conclude at approximately 6pm. Attendees should expect to be able to play multiple games during the day. If you bought an Early Access pack, remember to bring all your models and accessories with you to play with. When you receive your Early Access Pack you will need to assemble various components needed for Playtesting. To make this process as easy as possible we have created a guide to help you on your way, and included the initial version of the rules & character cards AS WELL as a playtesting guide so you can provide our Development Team with useful feedback. That's a lot of parcels, and a lot of packing peanuts to keep it safe!